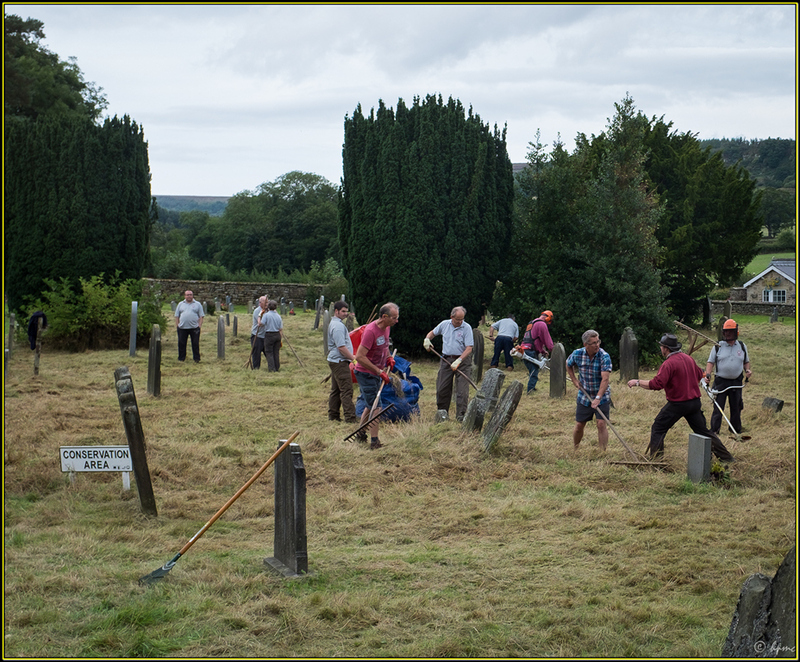 It’s that time again – time to cut and rake the conservation area in the Rosedale Abbey churchyard. A team of volunteers from the National Park will come on Friday 5 October at around 10.00 am to cut and rake the conservation area, but local volunteers, with any strimmers, rakes etc, would be very welcome. As an incentive, refreshments will be provided! The NYMNP and local volunteers at work in 2016. If you can spare an hour or so, please come along on Friday – no need to book! This will be the last time that the NYMNP volunteers will be cutting the conservation area and from 2019 onwards it will be purely a local task.